Bluebonnets After Sunset - Bluebonnet after sunset with the color in the sky still vibrant over these wildflowers along the fence outside of Llano Texas. 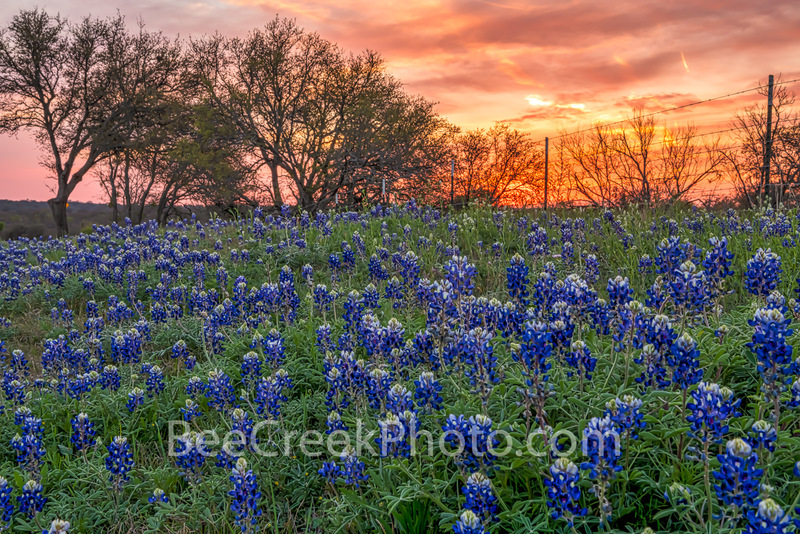 I was running out of time and found this wonderful patch in the Texas Hill country and capture my first image for this year from the hill country. Photo © copyright by Bee Creek Photography - Tod Grubbs / Cynthia Hestand.